The Young and the Restless (Y&R) spoilers tease that Nick (Joshua Morrow) will grow increasingly curious about what really started The Underground fire. The fire department thinks it was arson and Nick is the number one suspect. After all, Nick gave away his fortune just before his business burned down. It’s easy for someone to assume he panicked and torched the place for the insurance money. Of course, Y&R fans know Nick didn’t set fire to The Underground. It was actually Dina (Marla Adams) who lit the flames. She’s battling Alzheimer’s, so she undoubtedly has no idea she did anything. That means pressure will remain on Nick for a while. He’ll realize there’s a possibility he did unintentionally. 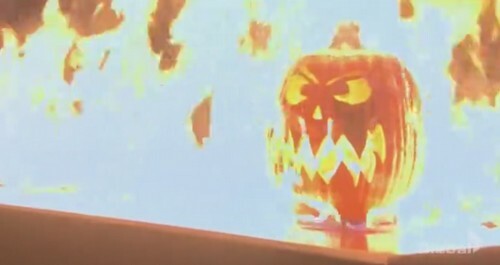 Nick recalls lighting the jack-o’-lantern and striking a few matches to burn off steam. However, Nick just won’t feel like everything adds up. His instincts will tell him that there was someone else involved. The Young and the Restless spoilers say Nick will decide to launch his own investigation. He’ll do a bit of digging in hopes of learning the truth about that terrible night. Nick certainly won’t be getting any help from Victor (Eric Braeden). He’ll be on his own as he works to uncover the facts. Nevertheless, Nick may manage to make some progress. He’s not usually the brightest bulb in the pack, but he’s smart when the storyline calls for it! Y&R spoilers hint that Nick could stumble across some crucial clues. Will Nick find evidence that points in Dina’s direction? If so, this could lead to some major conflict. The Young and the Restless spoilers state that Jack (Peter Bergman) will become more and more protective of Dina. Her declining health will leave Jack on edge, so he’ll be in no mood to deal with Nick’s potential accusations. Naturally, Nikki (Melody Thomas Scott) would take Nick’s side and push for charges. Her feud with Dina has grown stronger and she doesn’t know about the Alzheimer’s diagnosis. Perhaps Nick’s allegations will force Dina to go public with the news of her condition. That would also irritate Jack. He wanted to keep this family matter private, but Nick and Nikki could blow the plan. Jack normally spars with Victor, but it sounds like a new version of the Abbott-Newman war could be brewing. We’ll give you updates as other Y&R details emerge. Stick with the CBS soap and don’t forget to check CDL often for the latest Young and the Restless spoilers, updates and news.